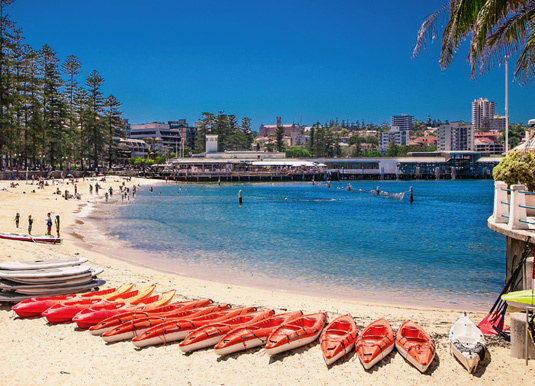 Join a specialist guide for a leisurely stroll of this unique area in Sydney. 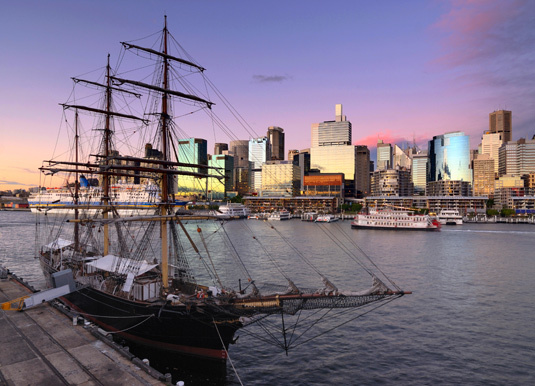 Hear the story of Sydney from the beginning as you stroll the shoreline of Sydney Harbour. Wander hidden alleyways, into shady courtyards and along cobbled lanes. Available daily from Sydney. 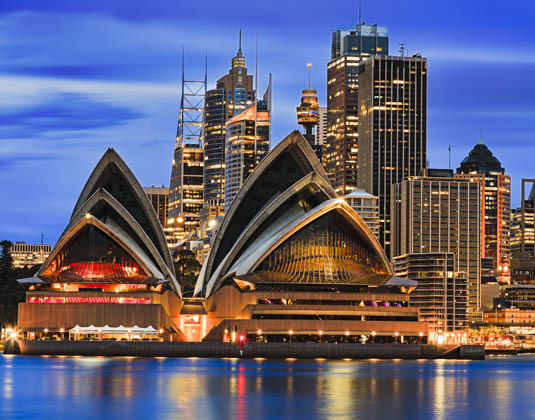 A one hour tour to see what goes on inside Australia’s most famous building with a brief overview of the Australian performing arts scene, including details of the current performances. 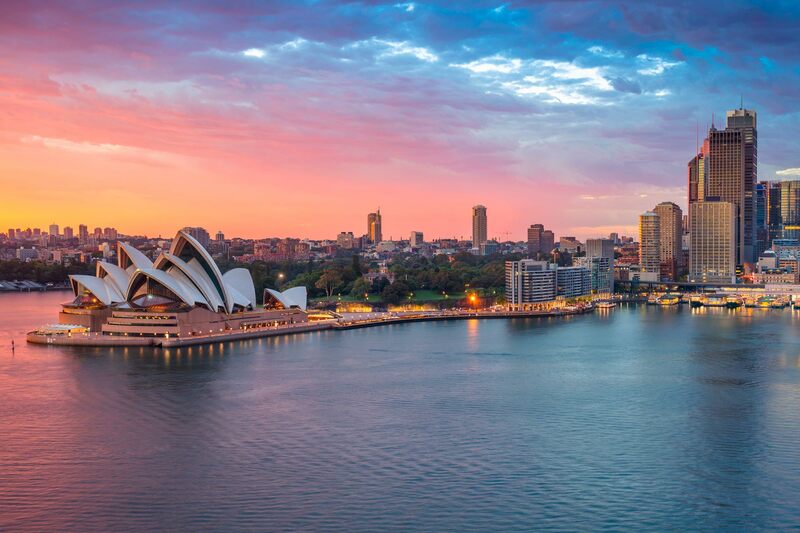 Available daily from Sydney (excludes selected dates). 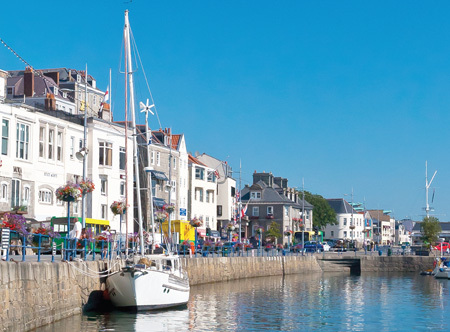 This quality two hour sightseeing cruise includes a fun and personalised commentary of the sights, people, land, history and development of the world’s most beautiful harbour city, with a choice of refreshments. Available daily from Sydney. 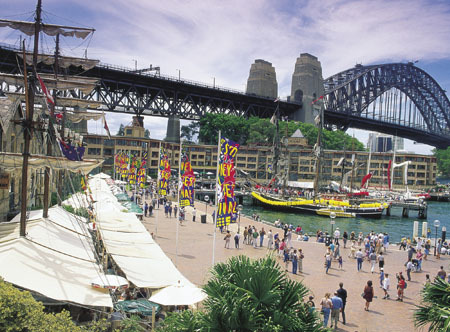 Travel through the historic Rocks area for views of the Opera House, Hyde Park, St Mary’s Cathedral and Parliament House. 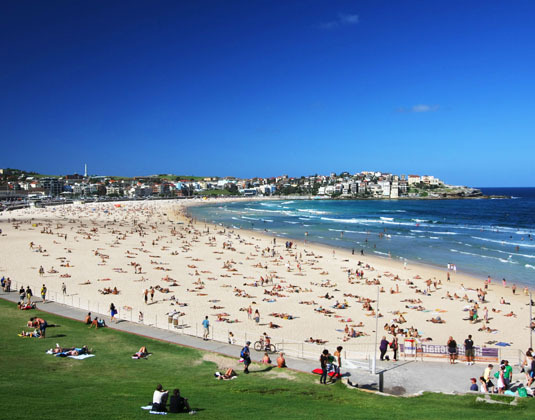 Stop at Mrs Macquarie’s Chair for magnificent harbour vistas then visit The Gap and stop at Bondi Beach. Return via Paddington and the Eastern suburbs. Available daily from Sydney. 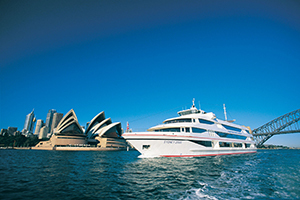 Depart from Circular Quay or Darling Harbour on the hop on hop off ferries offering up to eight stops, including Fort Denison, Taronga Zoo, Shark Island, Watson’s Bay, Manly and Luna Park. 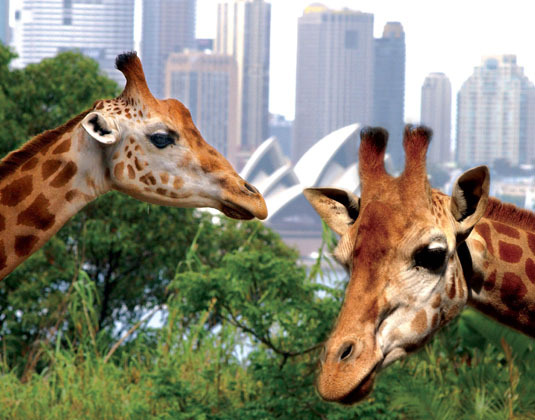 Also includes entry into Taronga Zoo and Sky Safari car. Available daily from Sydney. 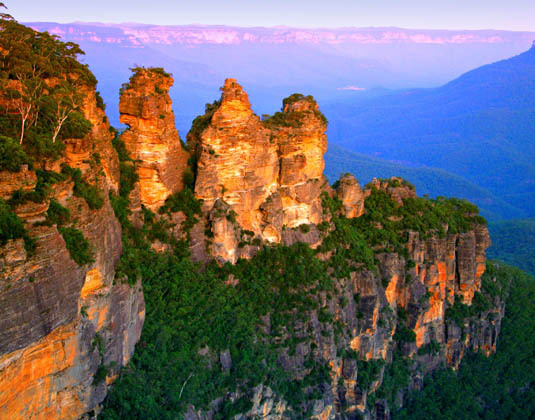 A full day tour discover the spectacular Blue Mountains and see native wildlife.  Includes visits to Scenic World (rides at own expense), Leura village and Featherdale Wildlife Park. Return to Sydney via Sydney Olympic Park, site of the Sydney 2000 Olympic games. Available daily from Sydney. 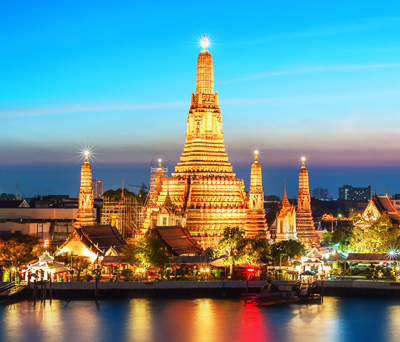 This flexible custom-made tour is adapted to suit the interests and preferences of small groups (max 14people). 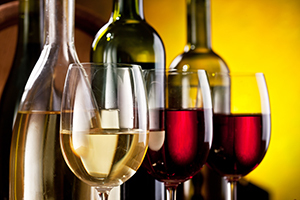 Tour includes wine tastings at 3-4 boutique wineries, opportunity to meet wine makers and gourmet two course lunch. 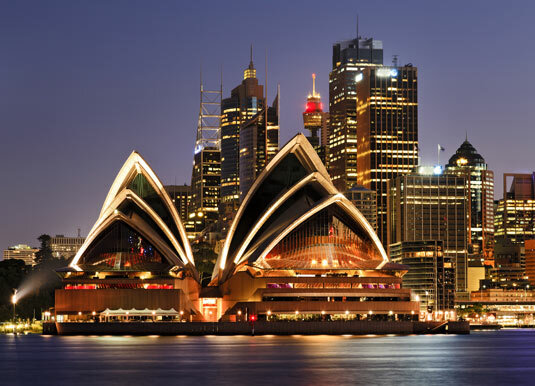 Available daily from Sydney (excludes selected dates). 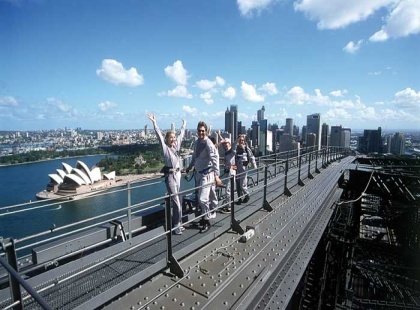 This energetic 2¼ hour tour is the fastest trip to the top of the Bridge. 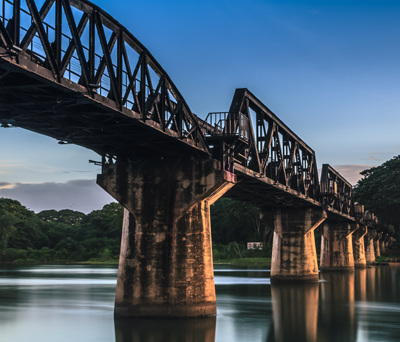 Ascend through the heart of the Bridge, a cathedral of steel, and burst through to the summit from below. An unforgettable experience. Min 8 years. 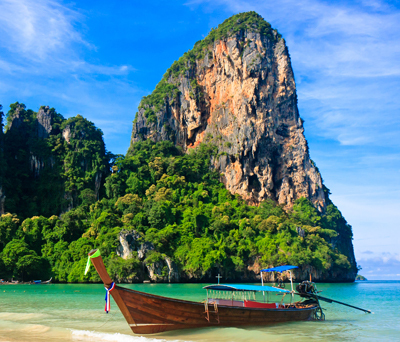 Available daily except 30-31 Dec).